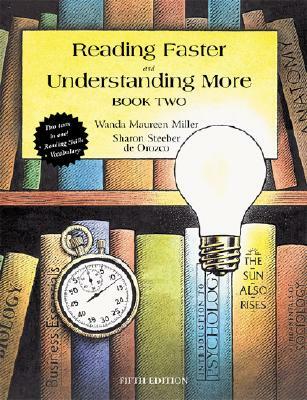 The Reading Faster and Understanding More developmental workbooks recognize the inseparable links between comprehension, vocabulary and reading rate. With vocabulary and study skills instruction integrated throughout, each chapter guides students through the reading comprehension and rate improvement processes and includes exercises to practice these skills. Book 2 is designed for the intermediate developmental level with selections for the 9th through 11th grade reading level on the Fry Test.